PM2.5 levels are regularly more than 50 times the level considered safe by the WHO. Mongolia has extended school winter holidays in the world's coldest capital and many families have sent children to live with relatives in the vast, windswept grasslands to escape choking smog and respiratory diseases such as pneumonia. 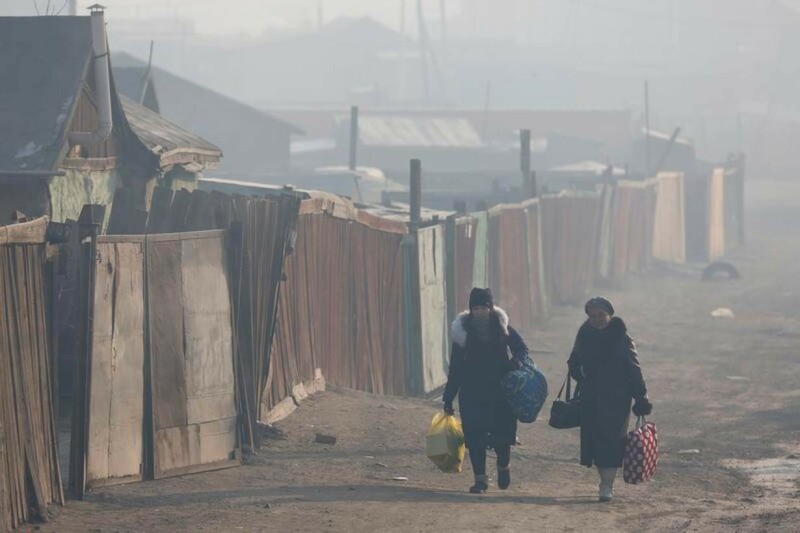 Women walk with their belongings amid smog in Sukhbaatar district of Ulaanbaatar, Mongolia January 31, 2019. 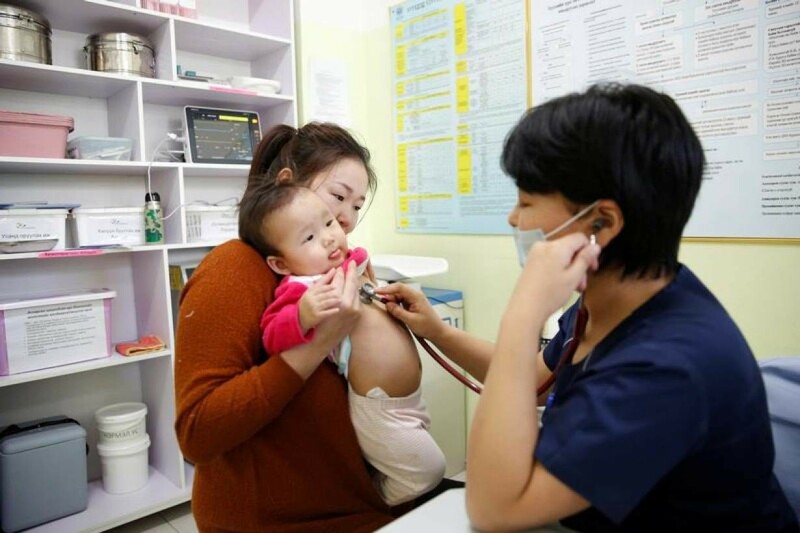 "Air pollution aggravates respiratory diseases and children under five are most vulnerable as their organs are still not mature," said Bolormaa Bumbaa, a doctor at Bayangol District's Children's hospital in Ulaanbaatar. Ulzii-Orshikh Otgon, 34, visits a doctor for her 10-month-old daughter Achmaa, diagnosed with pneumonia, at a children's hospital in Bayangol district of Ulaanbaatar, Mongolia, January 31, 2019.